Rob graduated from the Musicians Institute (now "The Institue of Contemporary Music Performance") London in 1995, receiving a Higher Diploma in Popular Music Performance (equivalent to 2 GCE 'A' levels) where he studied live performance, rock, blues, soul, funk, jazz, country, fusion, acoustic, fingerstyle, harmony and theory with a concentration in Rock Guitar Performance. Since 1996 he has performed professionally, in a variety of styles on electric guitar. Limehouse Lizzy had just lost founder member Alun Owen in 1996. The search began for a permanent guitarist, and the story goes that Rob was on top of everyone's list. The need for them to elevate to the next level resulted in Rob joining the band in early 1996. Although playing 150-200 gigs a year at this time, Limehouse Lizzy seldom toured outside the United Kingdom, where the band had its strongest cult following. 1997 proved to be an exception, when the band was invited to perform at the prestigious St. Patrick's Day celebrations in New York on March 16/17th followed by several major festival appearances and headlining both Thin Lizzy conventions(Vibe for Philo) in Dublin and London. At this stage Rob thought the band had reached their peak, selling out shows to critical acclaim, brimming with energy and optimism. The band kept up the heavy touring pace with shows mostly confined to clubs, though touring schedules were sometimes interspersed with theatre shows, TV and radio appearances as well as festival appearances. The punishing schedule and number of gigs per year had certainly not decreased by 1998, and it was all starting to take its toll on the band. Sadly, even at this stage of the band's career, the touring did not seem to help them find greater opportunities. Rob gives his perspective on this rather sad period in the group's history: "People in the band felt a sense of security. We concentrated on other things besides the music. Everybody was taking everything for granted, assuming that the gigs would just be there. I remember towards the end of one tour our edge slipped away. We did three gigs in a row that were miserable for the band (even though they sounded fine to the audience)". In 1998, Rob decided to quit the group, which still continue to this day. At the end of his stint with Limehouse Lizzy, Rob decided to take time out and started working as an IT Security Consultant (Ethical Hacker). This didn't come as a complete surprise to fans, who knew Rob had been messing with computers for years. Rob came to new conclusions while working as an Ethical Hacker: "I recommend it to everyone, if they can afford to change their whole way of thinking about their career in life and see what they really like about it and what they don't." 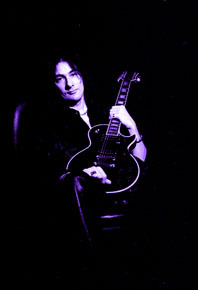 Rob feels equally at home playing Rock, Metal, Hard Rock, Ballads, Top 40, Blues, Funk, R&B, Soul and Acoustic ("Unplugged").